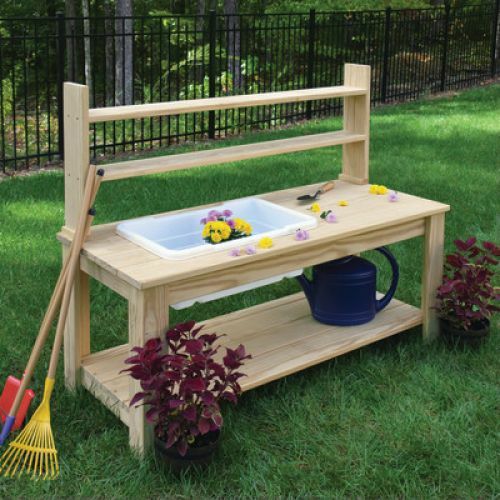 Provide a natural place to play or garden for your kids outside with the Wood Designs Farmhouse Sink. 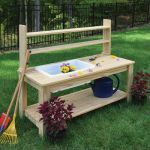 This kid-sized farmhouse sink features a large removable white liner with ample space to get your hands dirty on top and a lower shelf to store and display all your backyard play things. 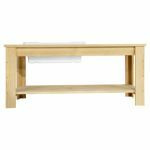 The frame is constructed from durable and nontoxic acetylated wood. 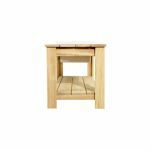 This type of wood defies the elements in any seasons from shrinking, warping and rotting. Edges and corners have been rounded for safety for any environment. Additionally, all hardware is Stainless steel. The total dimensions for this unit is 24”H x 54”L x 25”D. 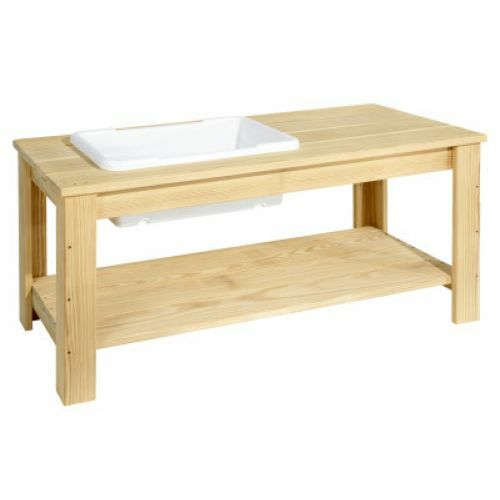 The white rugged 8” deep plastic liner tray's dimensions are 8”H x 24 3/4”W x 15”D. The Farmhouse Sink comes fully assembled and is proudly made in the U.S.A. with a 10 year warranty.